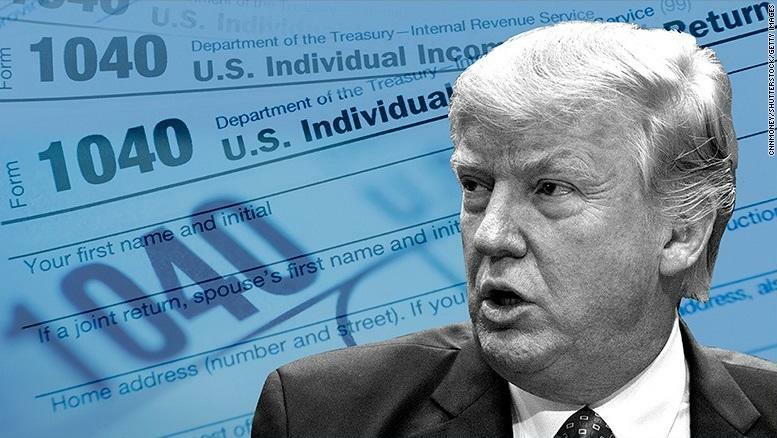 Democrats in the House Ways and Means Oversight Subcommittee are beginning the process of obtaining President Trump's tax returns, according to Bloomberg. The effort was turned over to the Oversight Committee by Rep. Richard Neal (D-MA), who chairs the tax-writing House Ways and Means Committee. The Subcommittee, chaired by Rep. John Lewis (D-GA), will hold its first hearing on Thursday to address the long-threatened turnover of the billionaire President's taxes - which Trump repeatedly insisted during the 2016 campaign that he would do if he weren't currently under an IRS audit. After the election, his administration said that Trump wouldn't release them because he was elected without Americans seeing them in the first place - making him the first US president in decades not to release his tax returns. The Democrat-led effort has been met with significant pushback from Republicans, while even Democrats - such as centrist Ways and Means member Ron Kind of Wisconsin, suggested it could be a giant waste of time. "I’d suspect that Bob Mueller and his team are looking at that already and hopefully it’s part of a report that is submitted to us shortly," said Kind. Under a 1924 law, Neal can ask Treasury Secretary Steven Mnuchin to hand over any taxpayer's returns - including those of the president. Thursday's hearing was called to discuss part of H.R. 1, a Democrat-led ethics bill that would require candidates for president, vice president and minor-party nominees to release 10 years of tax returns. House Speaker Nancy Pelosi (D-CA) says that she expects the House to advance H.R. 1 this month, however it is unlikely to pass the Senate which is still Republican controlled. "The Ways and Means Oversight Subcommittee is holding this important hearing so that Members and the public will learn about existing law, precedents and tradition, and legislative proposals to improve the integrity of our democracy," said subcommittee Chairman Lewis. Neal's deferral of Trump's tax returns to the oversight subcommittee has left some progressives fuming, as they want the documents before the 2020 election. "We’re on the edge of our seats here," said Tax March Executive Director Maura Quint, an H.R. 1 supporter who hopes the hearing will "push Chairman Neal to recognize the importance of tax returns as an oversight issue," according to The Hill. "I’d like to see it move faster," said Rep. Pramila Jayapal (D-WA), who co-chairs the Congressional Progressive Caucus - which has pushed Pelosi to expand H.R. 1 to include the disclosure of a candidate's business tax returns as well. Last week, prominent Democratic billionaire donor Tom Steyer announced that his group, Need to Impeach, will run an advertisement to encourage Neal to request Trump's tax returns and to begin impeachment hearings. "In order to get this done, they have to move correctly and expeditiously, and that should not be two things that are contradictory," Steyer told The Hill Wednesday. Meanwhile, Thursday's hearing will include tax experts who will weigh in on the history and significance of candidates for high office releasing their tax returns. The witnesses at Thursday’s hearing are scheduled to be Tax Analysts tax history expert Joseph Thorndike, University of Virginia law professor George Yin, Citizens for Responsibility and Ethics in Washington Executive Director Noah Bookbinder, Tax Policy Center senior fellow Steven Rosenthal and Ken Kies, managing director at the Federal Policy Group. Thorndike told The Hill on Wednesday that he plans to talk about the history of presidential and vice presidential candidates releasing their tax returns. "I believe we would be better off if the tradition was formalized," said Thorndike. Other Democrats pushing for Trump's tax returns are just fine with Neal's pace on the issue. Rep. Bill Pascrell (D-NJ) says that he's ok with how things have progressed "so far," and says that he thinks Neal will request that the Treasury hand over Trump's returns in the next two or three months. Earlier this week, Politico reported that the Trump administration will fight the Democratic request for his returns - painting it as a partisan witch hunt, while attempting to use legal arguments to deny the move. 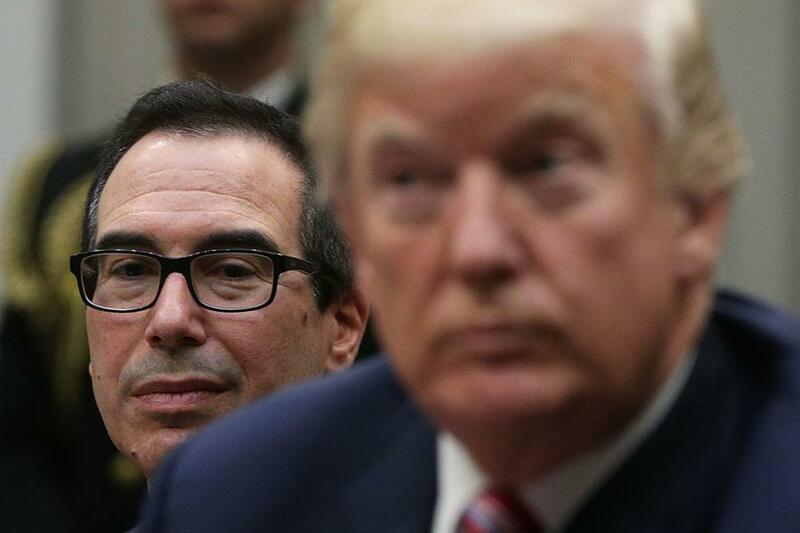 A Treasury spokesperson has repeatedly said that department Secretary Steven Mnuchin will review any request with the department’s general counsel for legality. Congressional GOP, meanwhile, have staunchly opposed the move - arguing that Democrats are abusing their power and invading Trump's privacy. "Weaponizing the tax code for political purposes sets a dangerous precedent," said House Ways and Means Committee ranking member Kevin Brady (R-TX).